HTC needed an intranet solution that spanned the globe, as users were forced to manually consolidate reporting, documentation, projects, and company communications – risking accuracy, version control, communication and consistency. 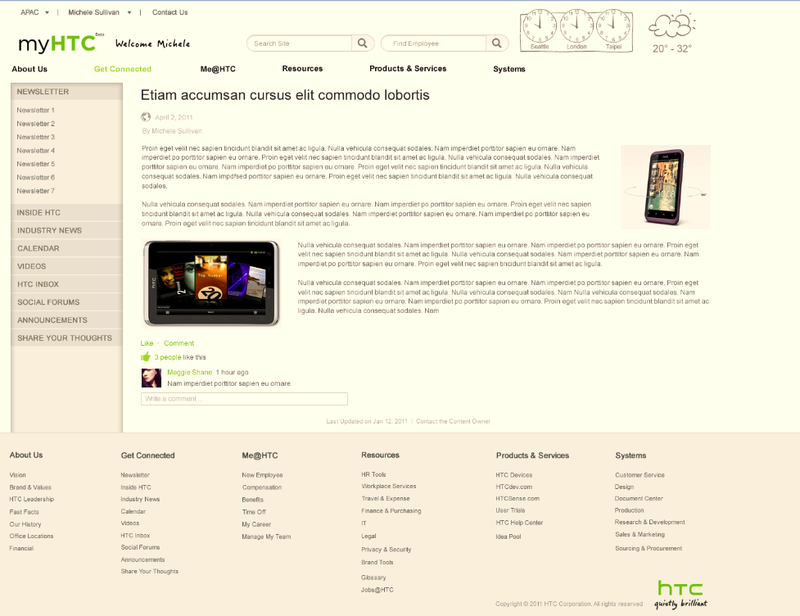 With their regional headquarters locations in U.S., Taiwan and United Kingdom, HTC wanted a more reliable and flexible intranet for all to consume in order to provide a socially engaged business. HTC chose to go with Extended Results’ SharePoint services – they got a top-notch services company to accompany the SharePoint platform with all the features like company news, social tagging, document management, team sites, videos, search and content replication. 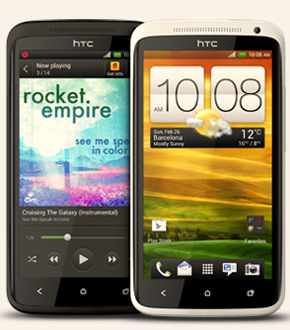 Extended Results stepped up to the challenge to design, develop and deploy HTC’s worldwide solution. It was an amazing project, please read on for more information in regards to our project. The complex scenario of how to display and access the regions separately and together in order to access desired content was a challenge we rose to. We had to adapt to an environment that was comprised of three distinct farms in disparate geographies. There are content owners in each region that share the responsibility of maintaining regional and global information. As each farm is independent, it was necessary to come up with a way to share the content that is created or maintained in each farm. Leveraging AvePoint Replication, we developed a custom component which allows content to be synchronized across the three farms, ensuring great performance to all levels of content from any region. Users are allowed to select which region they would like to display, rather than defaulting to the region where they are authenticated or based on their profile. HTC has a considerable number of employees that travel extensively and want to be able to see the content for their home region along with the region they happen to be currently working in. SharePoint 2010 is a major step forward as a development platform, not only because of the rich set of features the platform supports, but also because significant investments have been made in the suite of tools designed to make the process more productive and more accessible to developers. The deployment mechanism that was created in Visual Studio for this project was a WSP file. This greatly simplified the deployment in each environment from non-production to production. With this mechanism, the migration through the test environments was as simple as withdrawing a solution, deploying the package and activating the features delivered via the WSP. All-access – to all region levels of content while maintaining appropriate security, providing unified message delivery to the internal workforce. Full enterprise search – initially implementing Standard SharePoint Search, but moving to FAST Search to leverage the content crawling functionality of FAST. Customization – resulting in a highly personalized look and feel. This framework consisted of custom Web parts and custom columns within lists. This afforded significant flexibility to the group owning the solution to use in many ways beyond the project. Simplified content management – allows for easy authoring and management of content, ensuring their integrity with enhanced features including the option to require document checkout before editing; approval prior to publishing; the ability to view past revisions and restore to previous versions; and the ability to set document-specific security; easily facilitate shared business processes. Increased, more efficient collaboration – providing universal exposure to business information, helping users across all regions have better business insight; teams stay on task, letting users know when actions are required or important changes are made to existing information or documentation, like announcements, alerts, surveys and discussion boards. Creative forums – for brainstorming ideas, building knowledge bases, or simply gathering information in an easy-to-edit format requiring no special technical knowledge. Simplification of securing business information – controls for site life-cycle management, site memberships and permissions and storage limits. Work groups can initiate self-service collaborative workspaces and tasks within desired preset parameters. 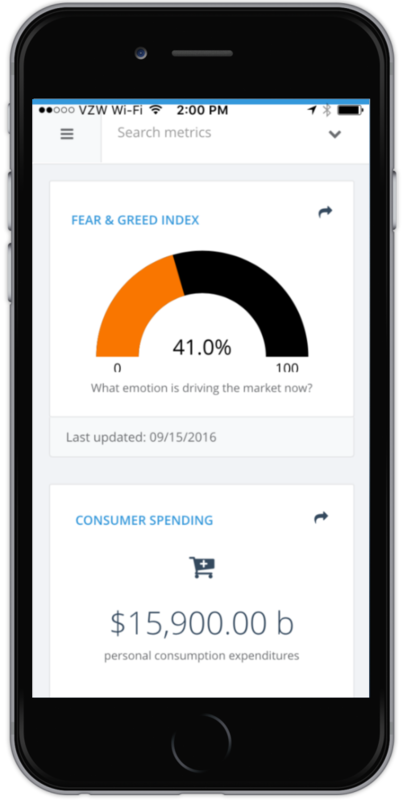 Users easily up-to-speed – with an intuitive interface people are used to seeing. This applies to the content owners as well; leveraging core SharePoint functionality to deliver on the requirements posed by HTC and extended where those features did not quite align with the requirements. Scalability – HTC is positioned well for future growth in the event they would like to implement another SharePoint Farm into their environment; it is a simple configuration exercise to expand the solution and AvePoint Replication to include the new farm. Global replication – by leveraging a third party, Extended Results moves forward with a proven provider and strong Microsoft partner. Replication is just one tool that AvePoint offers, specializing in SharePoint tools and provides significant savings in implementation. With tools for collaboration that help people stay connected across organizational and geographic boundaries, HTC empowered by Extended Results, now has the access to the information they need, how they want it and when they need it.